Up your style game with this elegant shirt from Yours London. 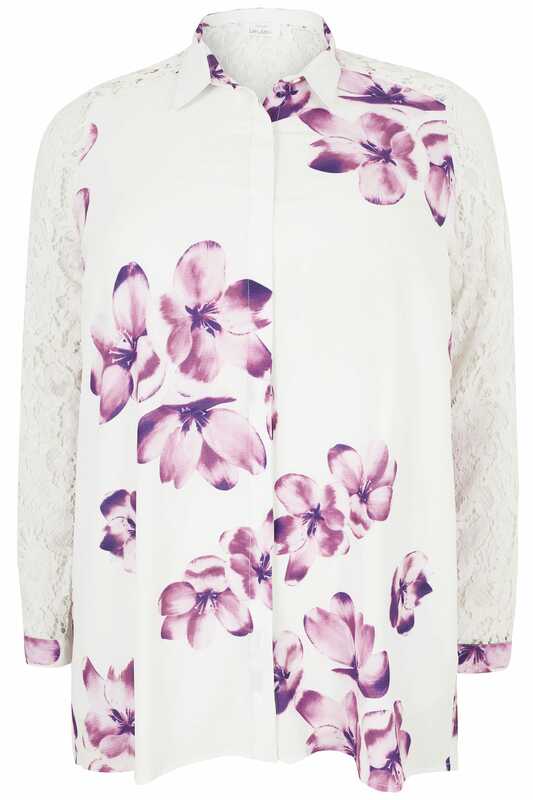 Made from a lightweight chiffon fabric, it features long lace sleeves with adjustable button cuffs. Team with a pair of tapered trousers and high courts for a smart-casual look. 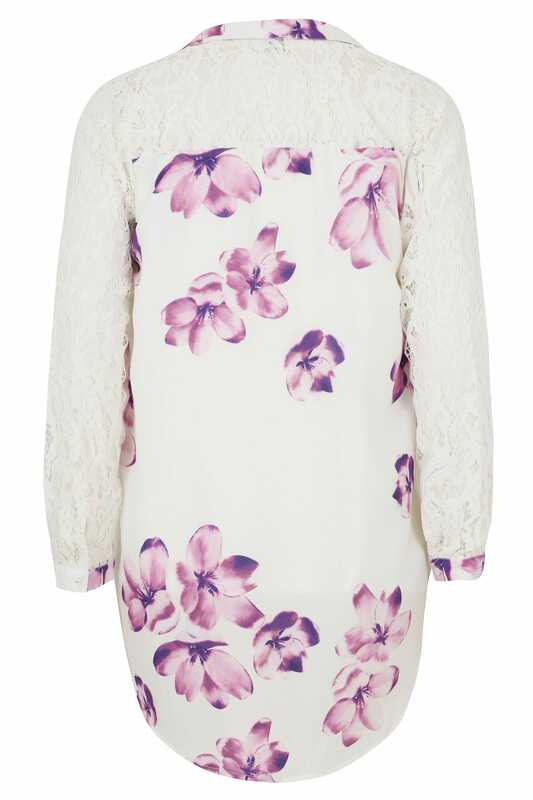 We are loving the lace detailing and the soft floral print in a purple hue.